Wonder Woman #2 comes with an introduction about the creative team. Here William Moulton Marston takes off his mask and reveals the man behind the pen name. He’s also pictured with H.G. Peter and two editors. Unlike Wonder Woman #1, this shows an all-male team, instead of making motions of the women involved. 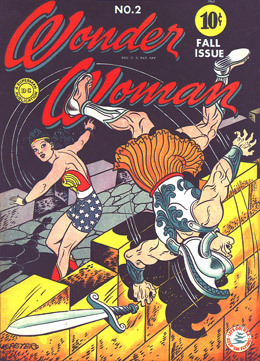 In the first story, Marston sets the stage with a conflict between Mars (Ares) and Wonder Woman. In the tradition of the lies adults tell children, Marston explains to his young readers that World War II rages on at the behest of Mars. Mars craves war and wants to keep it on the planet. Whereas Aphrodite, Wonder Woman’s goddess, only wants love, and unfortunately, Mars is currently winning this battle. But, of course, Aphrodite has a great champion who’s currently turning the tides of war toward peace. Wonder Woman. Mars figures he must take out Wonder Woman, and he plans to use Steve Trevor as bait. 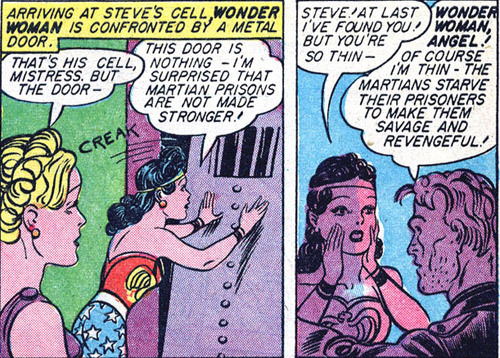 Mars is correct that Wonder Woman will go right into his trap in order to save Steve. The issue starts with Steve getting a secret message about a mission he must go on. Not even Colonel Darnell knows where he’s going. Diana is suspicious. As Wonder Woman, she meets up with Steve before he goes. But Steve won’t even tell his beautiful angel what his mission is. Unsurprisingly, Steve disappears. Oh, he’s such a damsel in distress. Wonder Woman prays to Aphrodite to tell her where Steve is and guide her to rescue him. Aphrodite shows up for a chat and reveals that Steve’s been captured by Mars. But that only dead people can go to Mars’ realm on Mars, the planet. Yes, Hades is apparently on Mars. I don’t know either. No, Wonder Woman doesn’t ponder if Steve’s dead or how he got there without being dead. 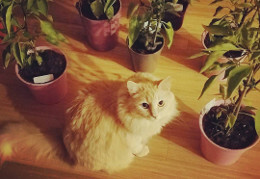 She just plows on through knowing that Mars probably set this as a trap to catch her. Aphrodite gives her a bottle with a potion in it which mimics death (a la Romeo and Juliet) and sends her off to Etta’s. Once asleep/dead, Wonder Woman becomes a slave of Mars. This involves proving her strength over the guards and the other slaves from time to time in order to get closer to Mars. She seems to find it somewhat amusing. Wonder Woman finds herself tricked. Into spankings. Oh, Marston. When Mars watches her beat-down his favorite male slave, Satan, in a weird jousting with swords while riding backwards on a horse contest, he decides she needs further examination. 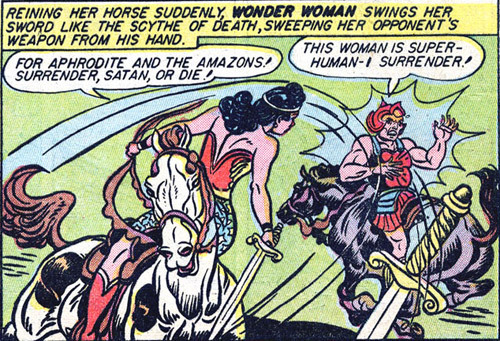 Riding her horse backwards with the greatest of ease, Wonder Woman out jousts Satan. Mars discovers that she is not Etta Candy (the name she gave at the not-so pearly gates of Mars), but Wonder Woman. He tries to hide this knowledge. But Wonder Woman eavesdrops on him. Because Mars is letting Wonder Woman get her guard down, she’s unchained and has her own slave girl. 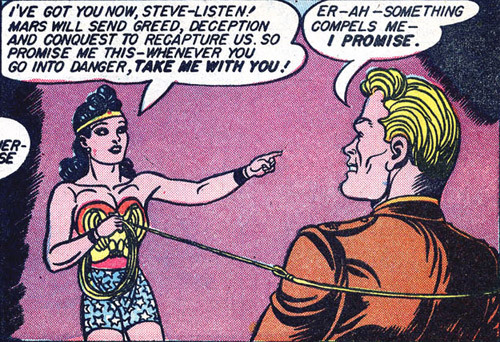 The girl (who’s never named) leads Wonder Woman down to where Mars is keeping Steve hostage. Steve is super skinny and weak as he hasn’t been fed for days. But when they run from the guards, Steve seems to perk right up. Unlike the slave girl, whom Wonder Woman tosses over her shoulder to carry. Apparently, the 'dead' can be starved. Steve and Wonder Woman escape by stealing one of Mars’ spaceships. (The slave girl chooses to remain on Mars.) But the whole part of how they go from being dead on Mars to being alive back on Earth is completely hand-waved. One moment, they’re escaping on a spaceship, and the next, Steve’s waking up in the hospital and Wonder Woman is in Etta’s bed. And suddenly, Steve's kicking a nurse with his erect leg (?) and Wonder Woman's getting kisses from Etta. Because Wonder Woman never wants this to happen again, she lassos Steve and commands him to never go into danger without her. Yeah, I think we learn a little bit more about Marston’s cabinet of curiosities here. She should also command him to love her. Even when dressed as a secretary while she's at it. Like what you’re reading? 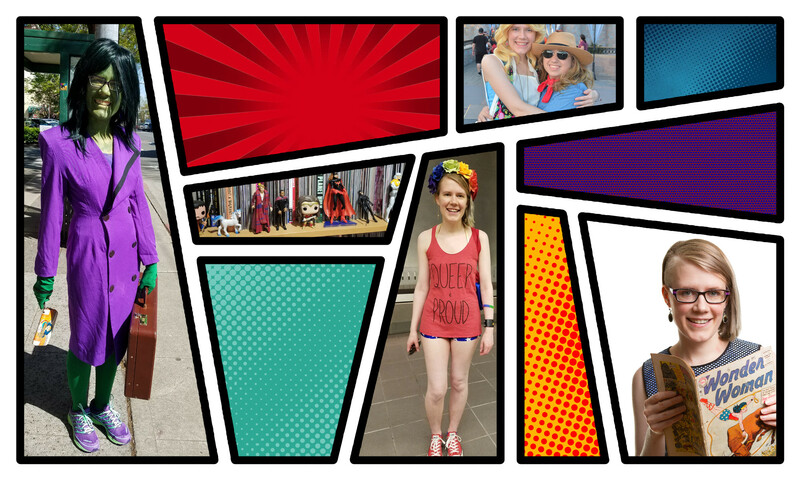 Support this blog by contributing my Patreon. You’re the best!